At a rally in Missoula, Montana, President Trump accused Democrats – without any evidence – of supporting a caravan of about 3,000 Central American migrants heading for the U.S. border and said the upcoming midterm vote will be "an election of the caravan." "They wanted that caravan and there are those that say that caravan didn't just happen," Mr. Trump said. "They also figure everybody coming in is going to vote Democrat." He also threatened to mobilize the U.S. military and shut down the southern border to stop those migrants from entering the U.S., reports CBS News correspondent Chip Reid. But that promise won't be possible without first declaring a national emergency and getting a congressional waiver. 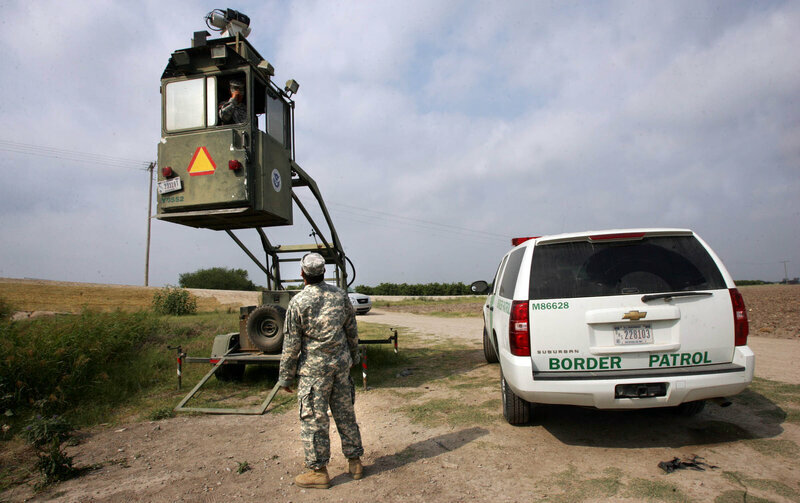 In April, the president did deploy the National Guard to assist at the border, a move previously done by both President George W. Bush and President Barack Obama. In addition to this latest caravan now at the Mexico-Guatemala border, a U.S. border patrol official tells CBS News there has been an increase in large groups attempting to cross into the U.S. together. On October 2, border patrol agents encountered a group of 164 adults and children near the border, and on September 25, a group of 264 migrants. Mr. Trump continues his western swing today and will hold a rally Friday night in Mesa, Arizona. The Mexican ambassador to the U.S., Geronimo Gutierrez, said Mexico has asked the United Nations to help Mexico review asylum claims from members of the caravan. "There is a humanitarian crisis going on. And we need to call it what it is," Gutierrez said. The president's chief of staff, John Kelly, and National Security Adviser John Bolton reportedly had a heated exchange over immigration Thursday at the White House. Press Secretary Sarah Sanders issued a statement saying "while we are passionate about solving the issue of illegal immigration, we are not angry at one another." Oops, looks like he can. In my opinion this is liberal Fake News. Yes, the president has the authority. Will he is another question. He would most certainly have pushback from Mattis and Kelly and DHS and others. Last edited by GeorgiaPeach; 10-19-2018 at 11:18 PM. Judy, Beezer and Newmexican like this. The President definitely has the authority to send troops to the border to stop illegal immigration. Presidents have had that authority since 1808 under the US Constitution to prohibit immigration. Give them explicit orders to apprehend them, process them within 24 hours and load them up for immediate deportation! Use buses and military ships! EVERY MAN, WOMAN AND CHILD GOES BACK! WE HAVE DACA TO DEPORT AND A BACKLOG OF 700,000 TO DEPORT! Authority? HAHAHA. Are you trying to be funny? What authority did obama have when he started DACA and gave millions of illegal aliens a card saying they can live and work even though the LAW SAYS THEY CAN'T?? Obama destroyed Rule of Law so let trump do whatever he wants.